One of the most traditional family holidays, Thanksgiving is also one of the most popular when it comes to exterior and interior décor. Originally a harvest festival, Thanksgiving was first observed in 1621. It continues to be a day for the family to get together, catch up, watch parades and football, and eat turkey and stuffing. The weeks before the holiday are spent planning the dinner and making the home warm and inviting both outside and inside. 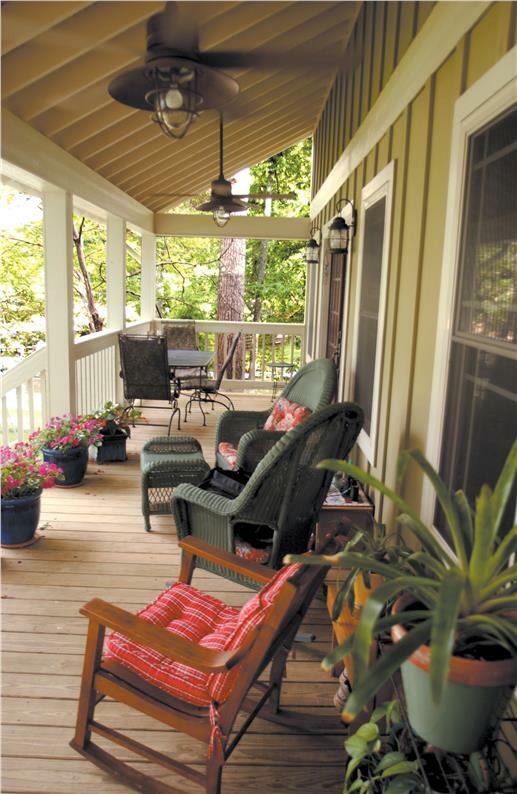 Wherever your home is—and whatever style it is—here are some ideas on how to make it even more festive and fun for everyone. 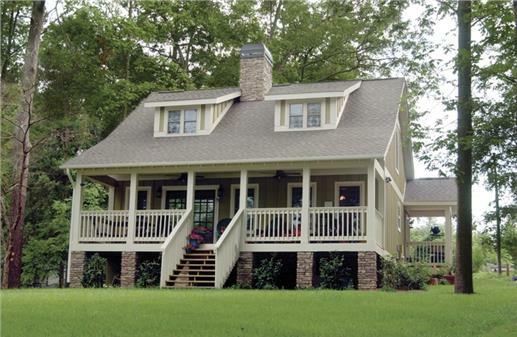 A quiet country home nestled in a wooded area will come to life long before the laughter and chatter of the family gathering—by adding a splash of color to the steps and the front porch. You can be as artistic or as simple as you want in picking out or making your own Thanksgiving wreath. 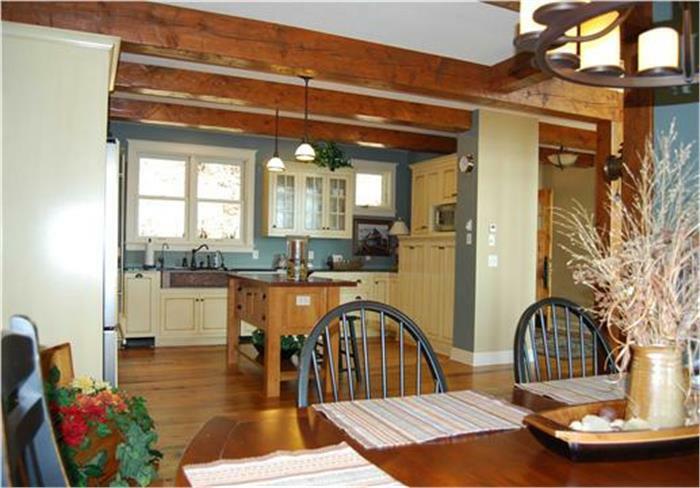 If you have a Craftsman or Arts and Crafts style home, the artsy edge may be to your liking. 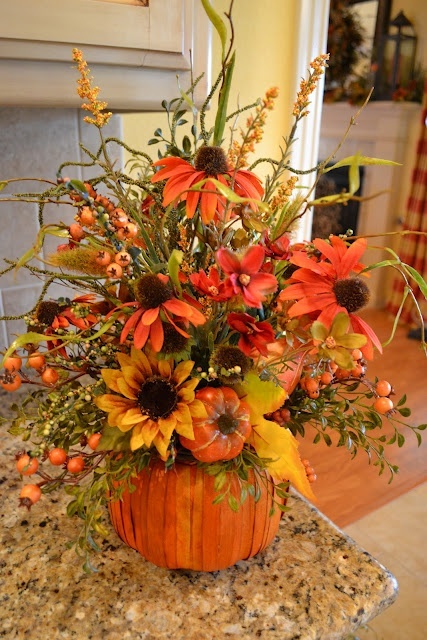 Others may prefer a simple wreath of dried autumn flowers for their front door. 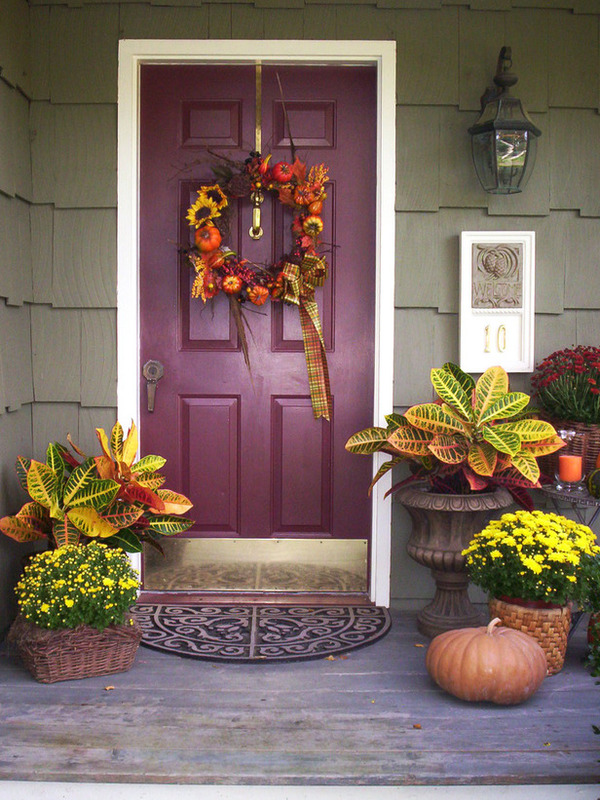 Whatever you choose, a Thanksgiving wreath is a delightful touch to the home’s exterior. 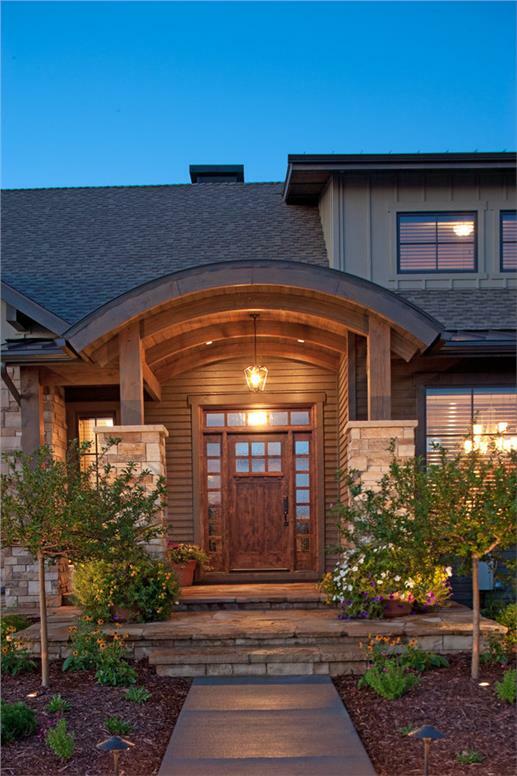 Add to the curb appeal of the five-bedroom Texas-style home on the left (Plan 161-1054) by hanging a Thanksgiving wreath on the beautiful wood door with glass panes and adding an arrangement of fall plants—like the door décor of the home on the right. 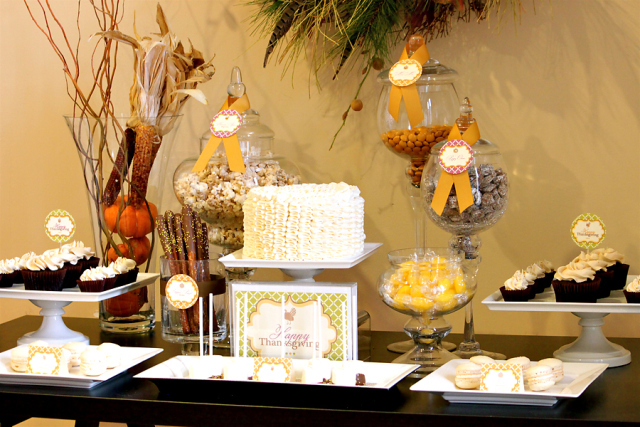 And now, for the table décor: start with hors d’oeuvres and dessert stations. 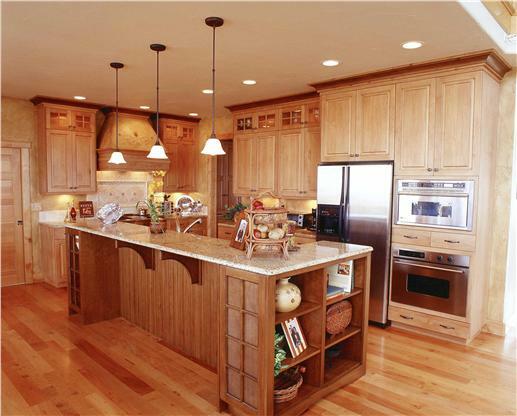 You can do a quick makeover of your kitchen. Deck the top of the kitchen snack bar with gourds and pumpkins set on elevated trays. Use the trays to set plates with cheese and crackers as well. Wood trays are also popular—fill them with candles of varying heights, fresh fruit, small acorn squash, or dried berries. Don’t overdo flower arrangements—choose one that makes the most impact to highlight the table. 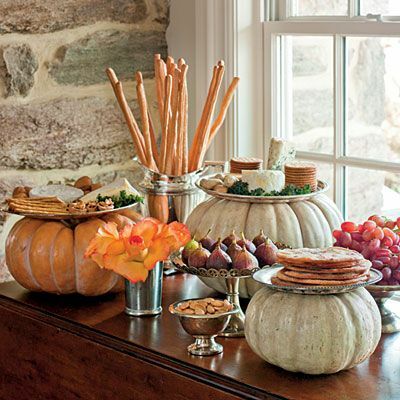 Move the fruit rack on the kitchen island to the side (left, Plan #161-11036), and make room for an assortment of pumpkins and gourds topped by plates of cheese and crackers plus trays with fruits and nuts (right). The highlight of Thanksgiving celebration is the meal—turkey, fixings, sides, pies, and all that delicious food set on the dinner table. 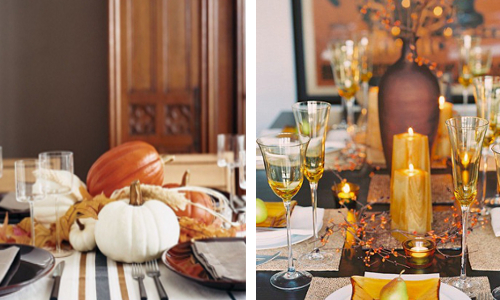 Some people go all out with their table décor, and others keep it simple and elegant. While all the décor enhances the party atmosphere, the company and food are most important. 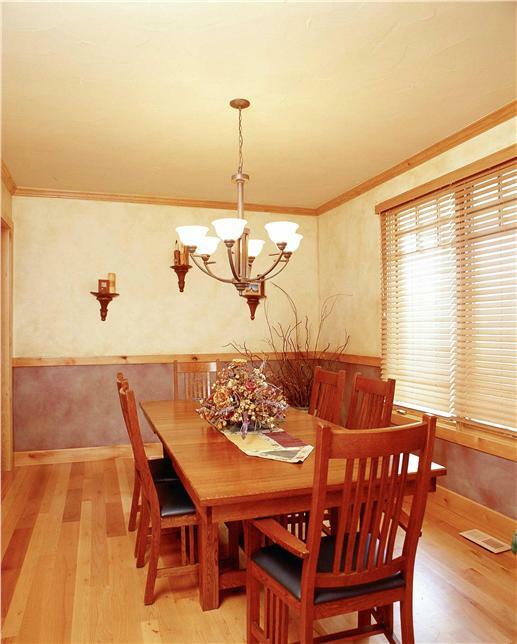 Take a look at what you may want to do with your dining space and table. Here are some table settings that can work in any home—from the casual to the simple and homey to the more formal décor. On the left is a casual table setting with multi-colored leaf cutouts and candles on small acorn pumpkins as the centerpiece. Candles, tea lights, and white roses are the focus of the table décor on the right. 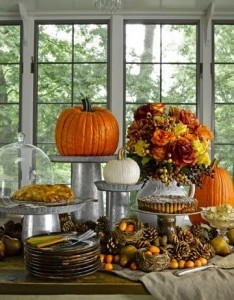 Pumpkins, gourds, and fall leaves give the table on the left a colorful touch. 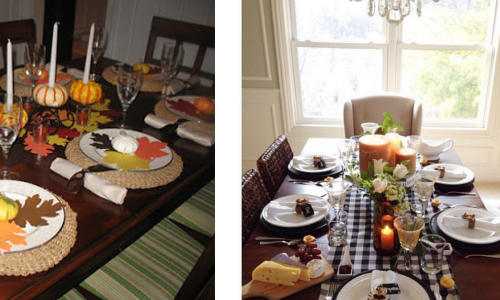 On the right is a more elaborately decorated table with contrasting hues—beige place mats, place cards in orange tones, amber candles, and a vase surrounded with dried berries. Now that your home has the feel and smell of Thanksgiving, get into its joyful spirit, and bask in the convivial warmth of family and friends! 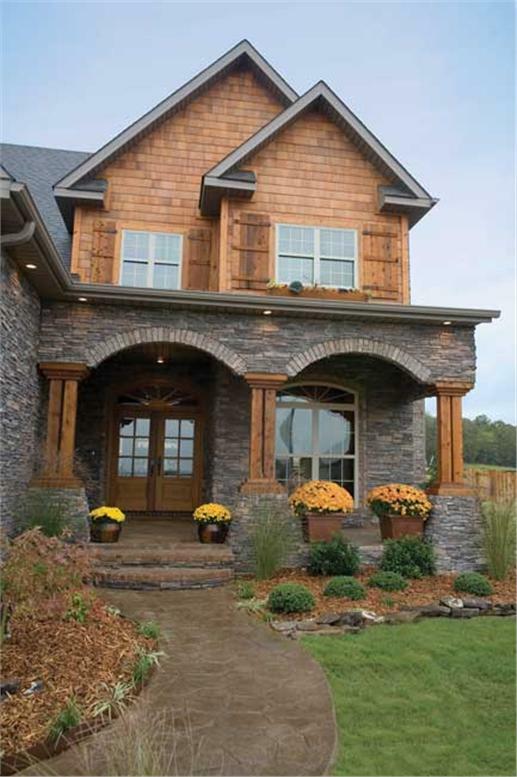 Footnote: The lead image in this article is from a country home, Plan #146-2810. To view, click here.